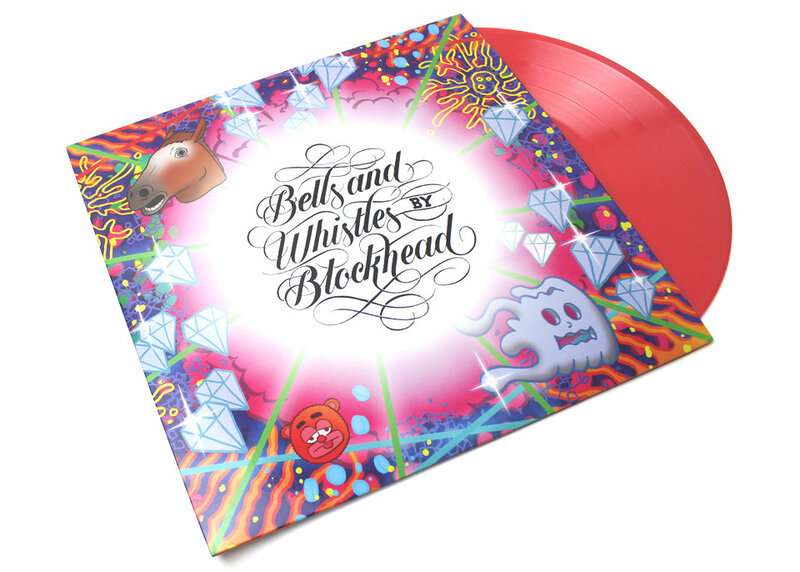 “Bells and Whistles” Limited edition red vinyl Repress! It’s been out of print for a while now but it is back, in limited numbers. I had my newest album, “Bells and Whistles” repressed in a special red vinyl. There are only 500 copies. And you can only get it from one place. Bandcamp. It’s only $20 and it should go pretty quickly. So, get on that and order it! It’s a double vinyl and comes with a download code for a high quality digital version. Enjoy it! It should also be added, people often ask me “How do i buy your music and you get the highest money %?” Outside of buying it from me directly at a show, Bandcamp it is. So, by getting this record from bandcamp, you’re helping your bro (me) out and that’s pretty cool of you. This entry was posted in blockhead, Music and tagged bells and whistles, blockhead, vinyl by Blockhead. Bookmark the permalink. “$20 – that’s €17.61 EUR, plus €19.81 add’l shipping for Germany”… hooray, I have to pay twice as much. Umm…sorry? I’m afraid there’s nothing i can do about that. same here (Austria)… isn’t there a distributor in europe? Nope. It’s being done by fat beats. I put the album out myself so there’s no label behind it to take care of stuff like this. Copped. I changed it from $19.99 to $20. Keep the penny.